For its 33rd year, Toronto's annual Canadian Music Week has assembled a lengthy list of musical performers. 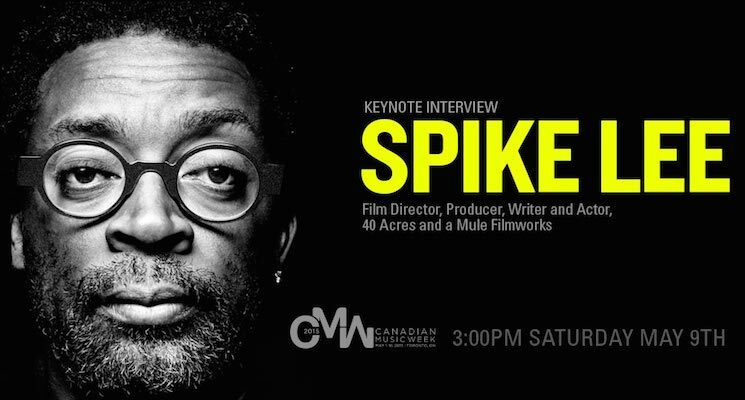 That said, film fanatics will also have something to look forward to as the fest has just announced a special keynote interview with famed director Spike Lee. On May 9, Lee will sit down for an interview at Toronto's Sheraton Centre Hotel. The talk will run for 45 minutes, and will cover his many accomplishments. In addition, the fest will host a special screening of the seminal Spike Lee joint Do the Right Thing on May 10. That will be followed by a Q&A with the director. Tickets for the keynote interview are available here, while tickets for the film screening and Q&A are available here. Spike Lee's next upcoming film is a documentary called Go Brasil Go!